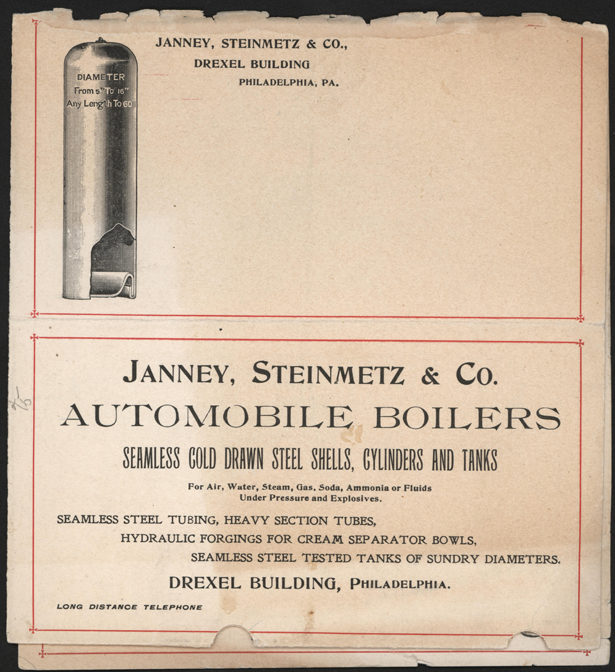 Janney, Steinmetz, & Company entered the steam car and supply business about 1901. 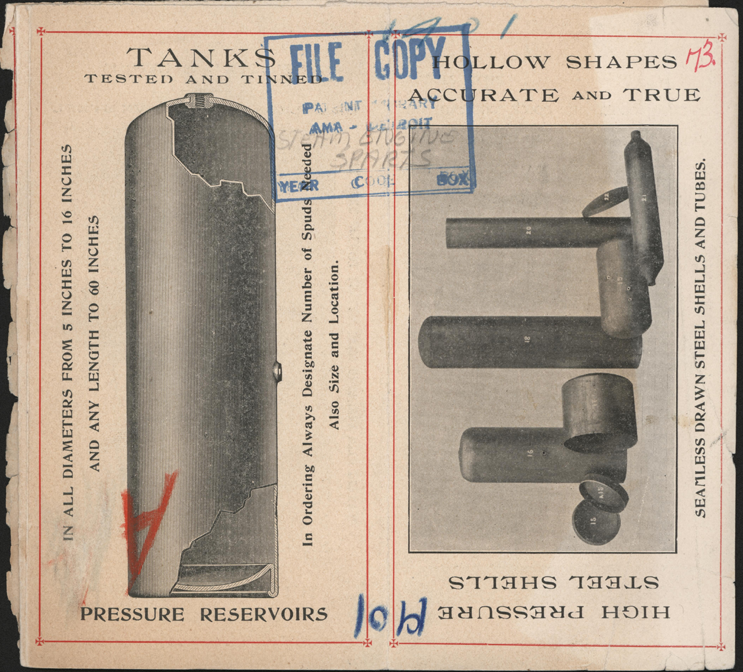 The Company offered a line of boilers, boiler shells, and pressure tanks. Among its services were specialty shapes of seamless cold drawn steel, and the Company would make a customer's product from drawings. Customers could contact the company via LONG DISTANCE TELEPHONE. 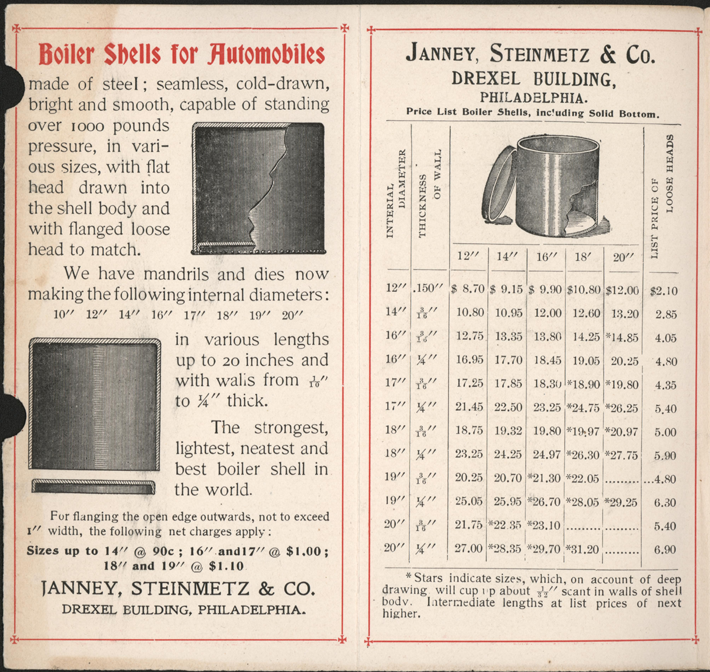 The earliest documented Janney, Steinmetz, & Company Magazine Advertisement appeard in Horseless Age, on April 25, 1900. 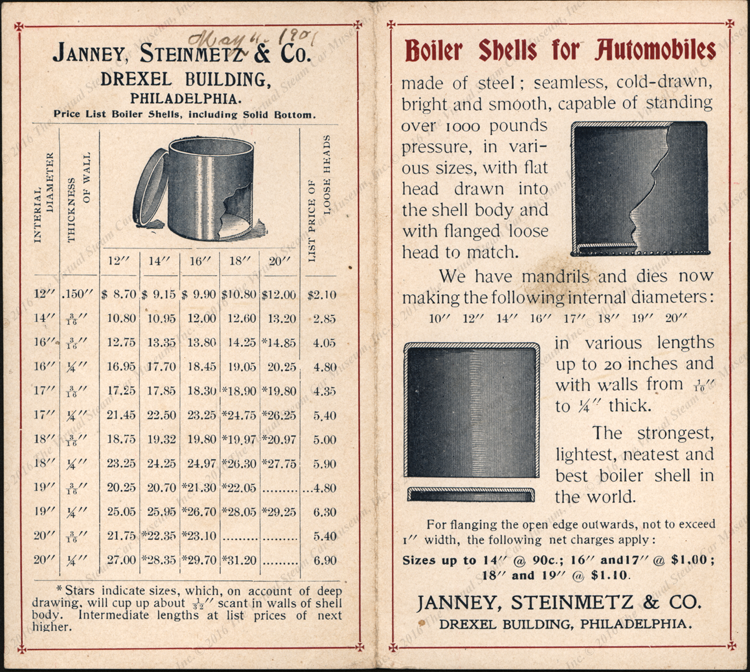 Janney, Steinmetz, & Company advertisement for May 22, 1901 in Horseless Age, page XIII. 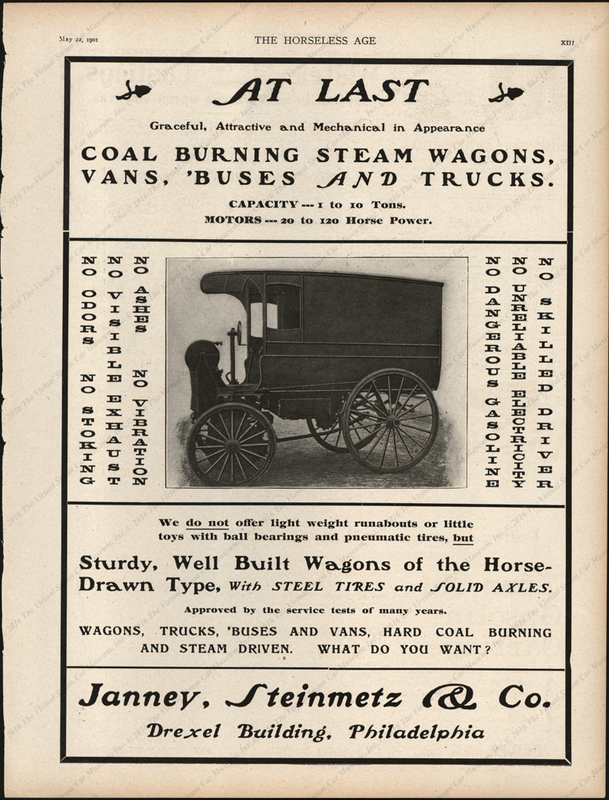 Janney, Steinmetz, & Company produced this catalogue in 1901 to meet the rising needs of steam car owners, particularly Locomobile and Mobile, although neither is mentioned. 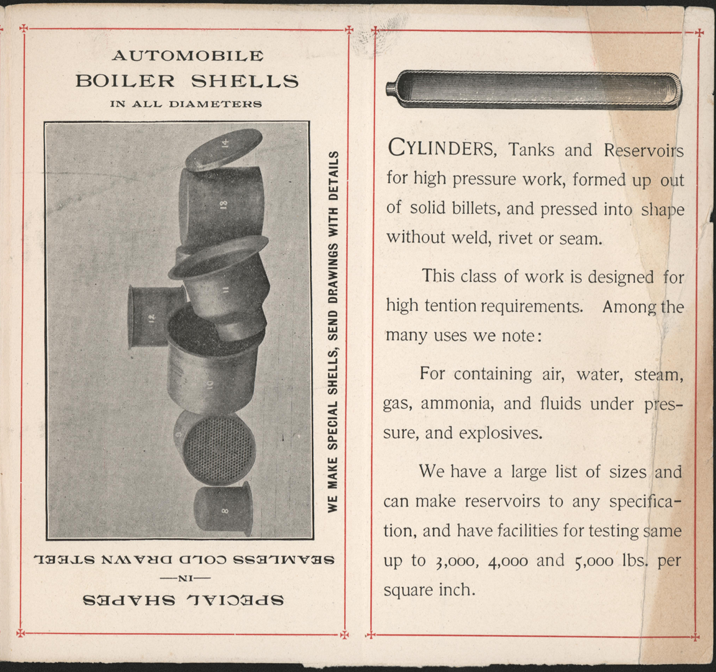 This brochure is stamped Patent Library AMA Detroit. 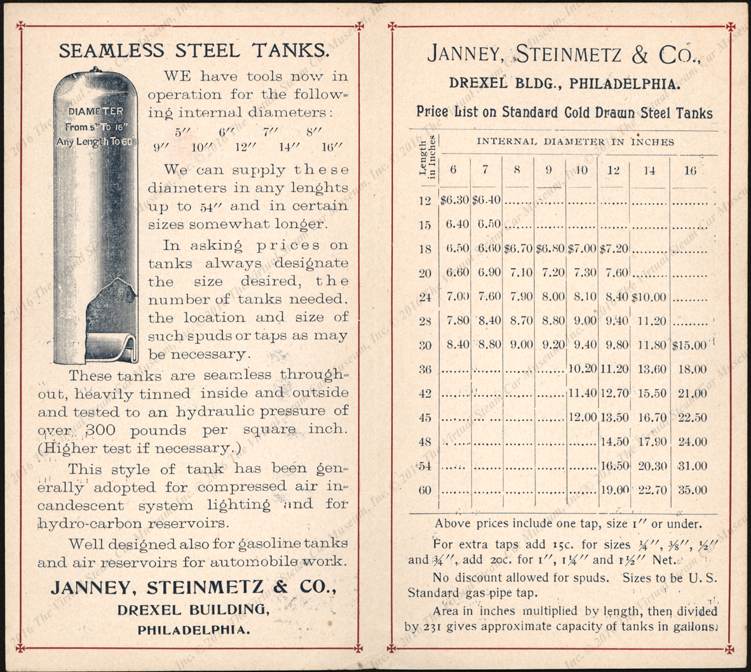 Here is a second Janney, Steinmetz, & Company trade catalogue. Someone has written May 11, 1901, which helps date the publication. Contact us if you have additional information about Jenney, Steinmetz, & Company, or if you have questions.